Burrito lovers have had weeks to prepare for the hours-long closure of Chipotle restaurants today, and in that time several competing fast Mexican chains have promoted special offers for the lunchtime crowd. But it looks like Chipotle may also have a deal for its temporarily abandoned customers: a raincheck for a free burrito. While Chipotle, which closed today for a four-hour long meeting to discuss food safety issues and initiatives, aims to win back the confidence of its customers, some rival chains are hoping to turn the eatery’s missed lunch into revenue of their own, offering promotions timed to the closures. Freshii, which specializes in burritos, wraps, soups, and other fast-casual eats, announced weeks ago that it would offer a half-off promotion Feb. 8 (that would be today) for its Mexican-inspired dishes. Under the promotion, the company will discount five Mexican dishes at its 200 locations. The deal is limited to one per customer. But if those customers decide they like Freshii better, that’s even better, the company says. On The Border also jumped on the closure discount bandwagon, announcing last week that it would offer $5 to-go Burrito Boxes or Border Bowls. The boxes and bowls contain come with your choice of grilled meat, Portobello mushroom, or vegan filling, along with typical Mexican fare toppings like cheese, rice and pico de gallo. Chips and salsa are also included in the deal. Moe’s Southwest Grill doesn’t appear to be offering a deal tied to the Chipotle closures, but it shared several Tweets announcing that it’s prepared for the lunch rush. As for Chipotle, the company is live-Tweeting the company-wide meeting and offering customers a raincheck for today’s missed lunch. 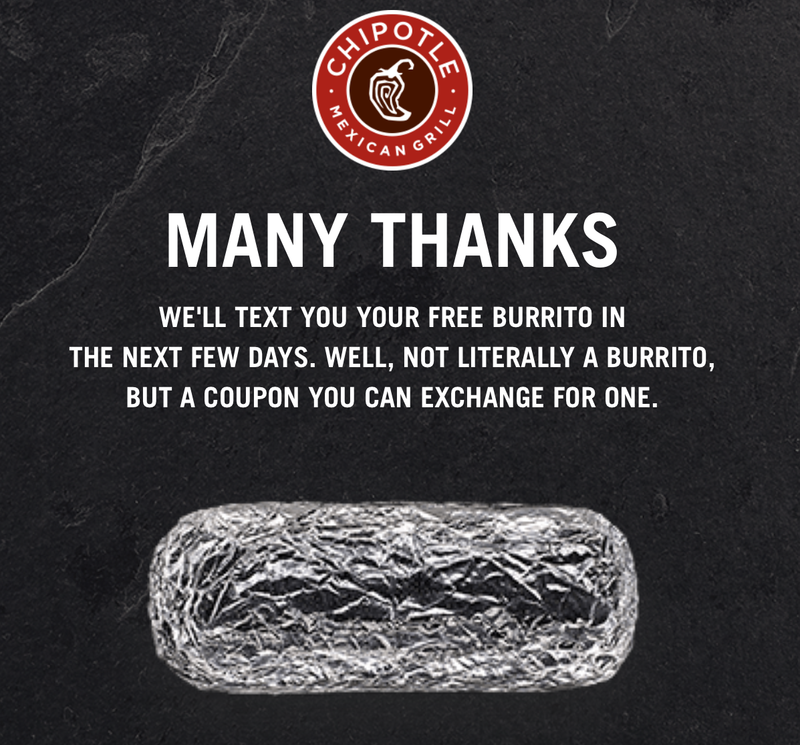 The deal, which includes a coupon for a free burrito, is available for customers who text “raincheck” to a dedicated number. “If we messed up your lunch plans today, follow the steps and we’ll hook you up,” a Tweet promoting the deal states. The company’s Twitter account previously debunked rumors that it was giving away $1 burritos all week, noting that the deal was from a hoax news site. 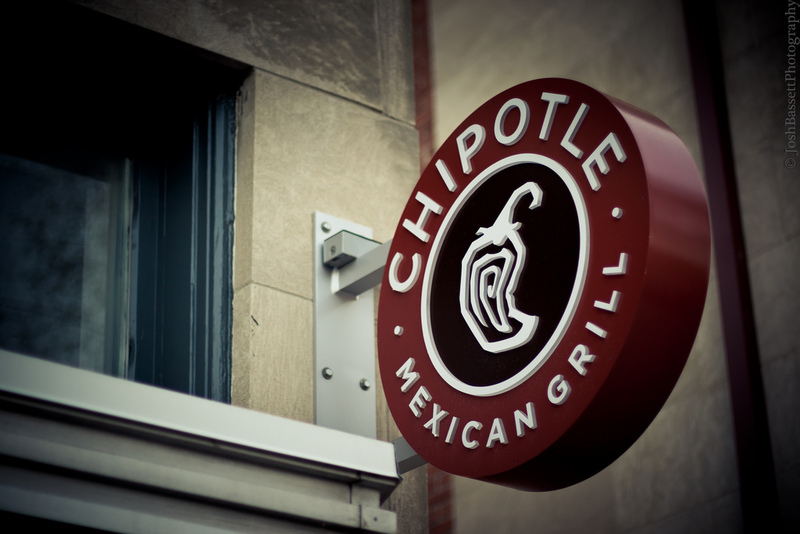 Chipotle will reopen its stores at 3 p.m. local time. Next Is Amazon Doing Anything To Fight Latest Wave Of Fake, Paid-For Reviews? Next Up: Is Amazon Doing Anything To Fight Latest Wave Of Fake, Paid-For Reviews?